For cases where Stenosis has already begun, we may recommend a Cervical Posterior Foraminotomy over an artifical disc as it is necessary to remove the bone growth in order to take pressure off of spinal nerves. 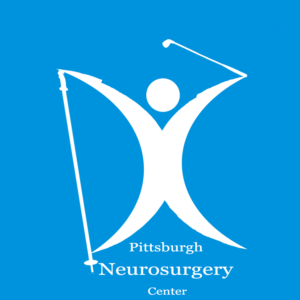 This surgery removes bone and/or portions of a herniated or diseased disc to relieve neck and radiating arm pain caused by parts of the disc pressing on nerve roots. The video below gives a detailed overview of the procedure. This was one of the early approaches to the spine. With the advent of anterior cervical discectomy, fusion and, later, plating it was not commonly used. The reasons for this had to do with positioning for surgery and accurate localization. I am unique in using the lateral position for these procedures. This allows accurate localization and diminished soft tissue dissection. Generally this helps reduce the amount of postoperative discomfort patients experience allowing most patients to be done as an outpatient. Obviously, there is a period of time immediately after the surgery were neck range of motion appears reduced, because of the spasm associated with the surgery. However, after adequate healing, neck range of motion is restored through exercise. Patients do not lose range of motion through this procedure. Multiple levels can be addressed at the same time, again without any restriction of range of motion that might be experienced with multiple levels of fusion anteriorly. The spine is a series of joints all linked together and exercise is the best way to keep joints healthy. Spinal fusion, though necessary in some cases, stops the motion of the fused joints and can lead to more problems down the road. We do all we can to avoid fusion. Outpatient simply means our procedures do not require an overnight hospital stay. You can return to daily activities within a few hours of most of our procedures. Our procedures use very small incisions during surgery. This minimizes trauma to muscles and allows for quicker recoveries without the need for hospital stays. "Very good experience. Dr. B and office staff were extremely helpful." "This physician was willing to listen to my questions and concerns and address them. It was obvious he had exceptional knowledge in his area, and I trusted his advice/decision-making process. I plan to stay with him for my particular health problem in the future." An artificial cervical disc is a device inserted between two vertebrae in the neck to replace a damaged disc. It is best used for patients who are suffering from a herniated disc without much narrowing of the spine. 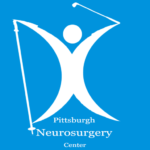 Learn how you can begin to recover from an artificial disk replacement in less than 4 hours with Dr. Bookwalter. Though motion preservation is very important, there are times when cervical fusion is appropriate. One example is a during Laminectomy which removes a section of bone from the rear of one or more vertebrae to relieve the painful and disabling pressure of stenosis. Discectomy is surgery to remove lumbar (low back) herniated disc material that is pressing on a nerve root or the spinal cord . It tends to be done as microdiscectomy, which uses a special microscope to view the disc and nerves. Spinal stenosis is a narrowing of the open spaces within your spine. To the right you can see a healthy spine with lots of room for the spinal cord. When that room is filled in by calcium buildup and other factors the space around the spinal cord begins to close up. The buildup begins to put pressure on your spinal cord and the nerves that travel through the spine to your arms and legs. Spinal stenosis occurs most often in the lower back and the neck. Pain, tingling, numbness, muscle weakness, and problems with normal bladder or bowel function are all signs of Spinal Stenosis. I am unique in using the lateral position for these procedures. This allows accurate localization and diminished soft tissue dissection. Generally this helps reduce the amount of postoperative discomfort patients experience.